Market is a center of economy in Indonesia. Here is the place well the seller meets their customer. Most of people in Indonesia even make a life through market. Market could be their source of living where they work every day. Although there have been many luxurious department store in city, Indonesians would rather go to a market to buy their daily needs. It is not only because the cheaper price, but also more complete to get anything you want. Here are the ten biggest market in Indonesia you must visit. Tanah Abang Market has been established since the Dutch era. From year to year, the market which is famous as the center of textile and garment wholesalers continues to experience development even its name is famous to international. 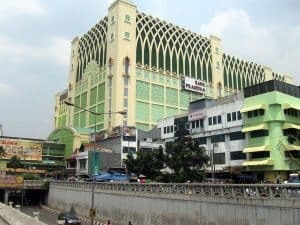 Tanah Abang Market has now metamorphosed into a modern traditional market with air conditioning, parking lots and multi-storey buildings. The wholesale market in Central Jakarta is famous as a center for various types of fabrics. The Blok A Wholesale Market is the most visited by tourists. Towards the holidays, especially Lebaran, Tanah Abang Market is always crowded with visitors. 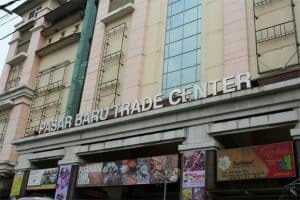 Pasar Baru Trade Center Bandung is one of the favorite shopping places for tourists both local and international. In 1935, Pasar Baru was dubbed the cleanest and most ordered market in the Dutch East Indies. 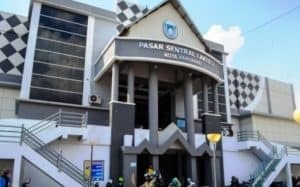 Pasar Baru is located on Jl. Oto Iskandardinata Bandung. Some features to shop in this place include various types of textiles available here, in addition to textile supporting facilities to buy souvenirs of typical Bandung food available here, the location is easy to reach, used as a barometer of prices in Bandung, and centrally located city. 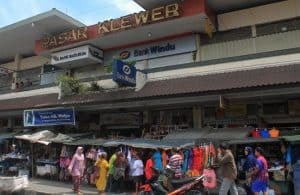 This legendary market is on Jl Dr Radjiman, Solo more precisely next to Solo Square. The market building that burned in 2014 initially consisted of two floors and has been around since 1942. This market provides various types of fabrics and clothes for various ages, formal and non-formal. This market also provides various types of batik not only from Surakarta City, but from all over Indonesia. Besides batik, this market also develops with the presence of other textile products. There are bed linen, tablecloths, negligee, also a variety of beautiful fabric crafts. Klewer Market also presents a variety of typical cuisines from Solo and Central Java, such as tengkleng, Pecel pincuk, gempol plered, mendut, bubur saren, and es dawet. Sukawati Market is a very famous market in Bali even in the corners of the world. This market is located in Sukawati Village, Gianyar. Approximately 18km from Denpasar City of Bali and can be reached approximately 30 minutes using motorized vehicles both two-wheeled and four-wheeled vehicles. This art market sells a variety of clothing or art items typical of the Island of the Gods. This place has become one of the favorite tourist destinations in Bali which is visited by many local and foreign tourists. This market is also sold with various knick-knacks for handicrafts. 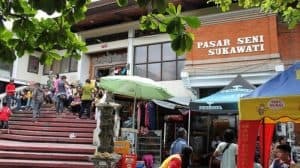 This market starts operating at 6:00 a.m. to 6:00 p.m.
Pasar Gede Hardjonegoro or commonly known as Pasar Gede Solo is one of the historical fragments of Solo. Located on Jalan Jendral Sudirman to Jalan Urip Sumohardjo, Solo, Pasar Gede is the best market in the world. Since its establishment, Pasar Gede has become a center of trade between indigenous people, China and the Netherlands. Although he had experienced several renovations and repairs, including after being burned in 2000, Pasar Gede finally transformed into the grandest traditional market in Solo. The original architecture was still maintained. Pasar Gede is a market for basic needs. Fresh vegetables, various spices, meat and fruits fill the middle space of this two-storey market. Meanwhile, Solo food traders are around the food stall. This market has just been inaugurated in 2018. This magnificent three-storey market, has a total kiosk of 2,037 units, of which 914 kiosks are located on the ground floor, second and third floors 771 and 353 units respectively. While the size of the kiosk is divided into 11 categories, ranging in size from 1.5×2 meters to 4×4 m.
In addition, the semi-modern market is equipped with various supporting facilities, such as escalators, freight elevators, lavatory, parking areas, fire management systems, clean water, Wastewater Treatment Plant (WWTP) and lightning rods. Because of the completeness of its facilities, this market is included in the most sophisticated market in the world. 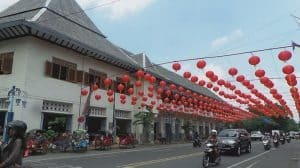 Pasar Atas is in the vicinity of the Jam Gadang area and is used as a vacation spot to hunt for souvenirs because of its cheap price and its location in the heart of Bukittinggi City, West Sumatra. Pasar Atas is a tourist market located in the heart of Bukittinggi, West Sumatra. Its location is strategic and easily accessible from various other holiday destinations in the City of Bukittinggi, such as the Clock Tower, Bukittinggi Zoo, and Fort Fort Kock. Pasar Atas provides a variety of souvenirs and specialties of West Sumatra at very affordable prices. Aside from being a tourist market, Pasar Atas Bukittinggi also functions as a trading center. This market sells a variety of embroidered fabrics made by artisans in Bukittinggi. Besides selling various typical Sumatran fabrics, this market also sells trinkets characterized by West Sumatra. 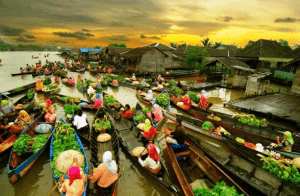 Muara Sungai Kuin Floating Market or Barito River Floating Market is a traditional floating market above the Barito river at the mouth of the Kuin river, Banjarmasin, South Kalimantan. Muara Kuin Floating Market is the saujana heritage of Banjarmasin City. The city of Banjarmasin is a city known to have many rivers, one of which is the Kuin river. Every morning, there are buying and selling activities between traders and buyers which is known as Floating Market on the Kuin River. Many tourists visit the Kuin river just to enjoy the crowds of this unique Floating Market. In this market traders sell their wares using wooden boats called ‘Jukung’. 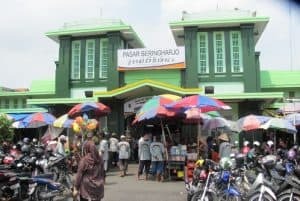 The name of Yogyakarta is not yet valid if you haven’t visited Beringharjo Market. The name ‘Beringharjo’ was chosen by Sultan Hamengku Buwono IX, because it used to be an area full of banyan trees. You can find many kinds of Various Yogyakarta batik, local handicrafts such as blangkon, batik fans, wide hats, key chains, and many more. If you feel tired and hungry after a day of joining in the hustle and bustle of the market, you can immediately enjoy Yogya specialties like warm and getuk. Various mixed ice and sweet sticky rice is guaranteed to satisfy your thirst. Not only crowded with local residents, Beringharjo Market is full of local and foreign tourists. 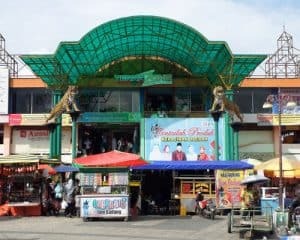 Johar Trade Area is a central area of buying and selling in the city of Semarang which is famous for its commodity completeness and is one of the central shopping destinations of Semarang. This area is located in the center of Semarang City, Central Semarang sub-district, Kauman village. Located in the Semarang City I Area, the Johar Trade Area has a dominance of commercial / commercial activities with several land use settlements. Located in the city center, between Tugu Muda, Simpang Lima, and close to the Old City of Semarang, this area has the potential to be further developed. Some of the buildings here are being renovated. Hopefully, it would be a glorious market after reconstructed. Those are the list of biggest market in Indonesia. 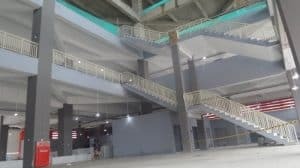 All of them have already been constructed by the government, so all of the people can go to market with the good facility like in a department store.